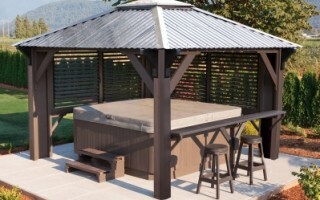 Is the rain stopping you from spending more time in your backyard? 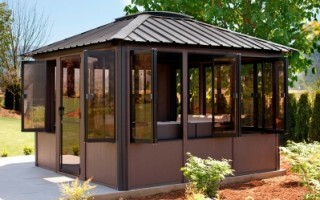 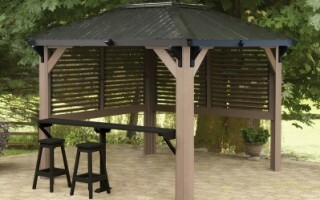 A gazebo is a simple way to create an outdoor room that can be used rain or shine. 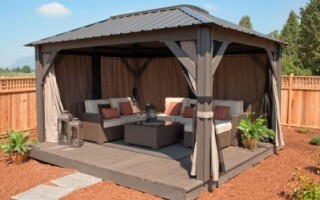 Fill it with your favorite patio furniture, lighting, a bar, or even a hot tub. 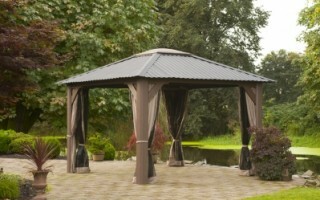 Commit to great times with your family and friends in your backyard with a Visscher Gazebo. 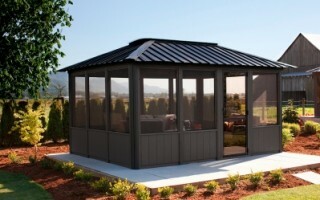 Extend your outdoor living space and make the most of the area you already have.Paradise LeisureScapes is an official Visscher Gazebo Dealer, serving Regina and Saskatoon. 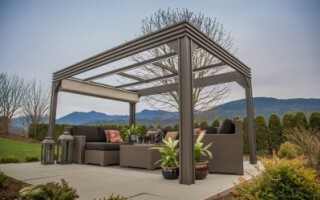 Choose your level of comfort with open air, semi enclosed or fully enclosed gazebos and pergolas that bring a touch of class to any outdoor space. 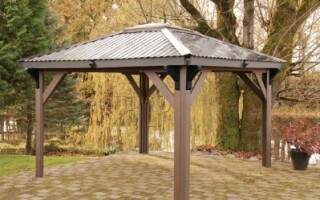 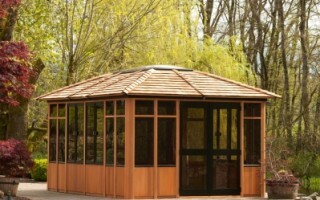 Visscher's Canadian made structures are designed to compliment any backyard. 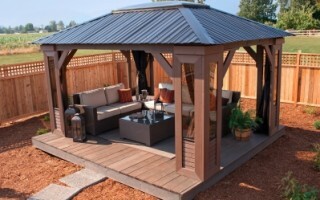 Whether you want to cover your hot tub or have somewhere to curl up on a lounge, these gazebos are perfect for our Vancouver weather. 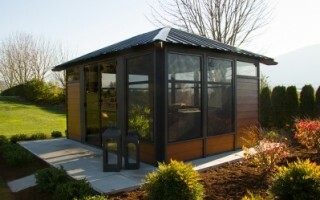 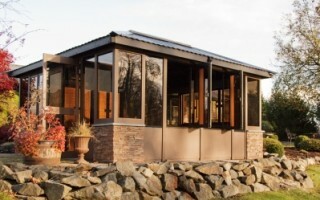 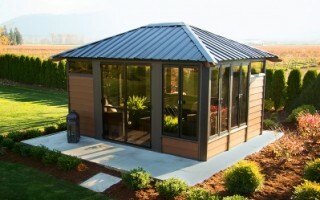 Come in to our Langley showroom to see the quality and artistic design of these beautiful structures. 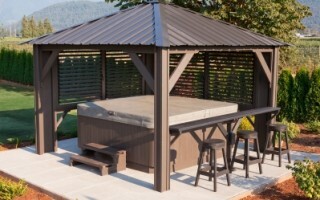 Deck Kit 45" x 45"